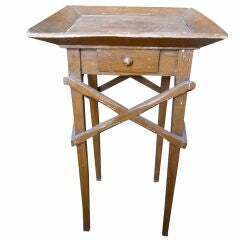 A 19th century faux grain Primitive work table with X-sides. 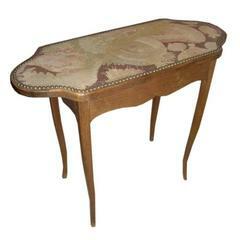 Elongated table with needlepoint top, edged with nailhead trim. Dusky rose, mauve, and sage yarns in needlepoint. 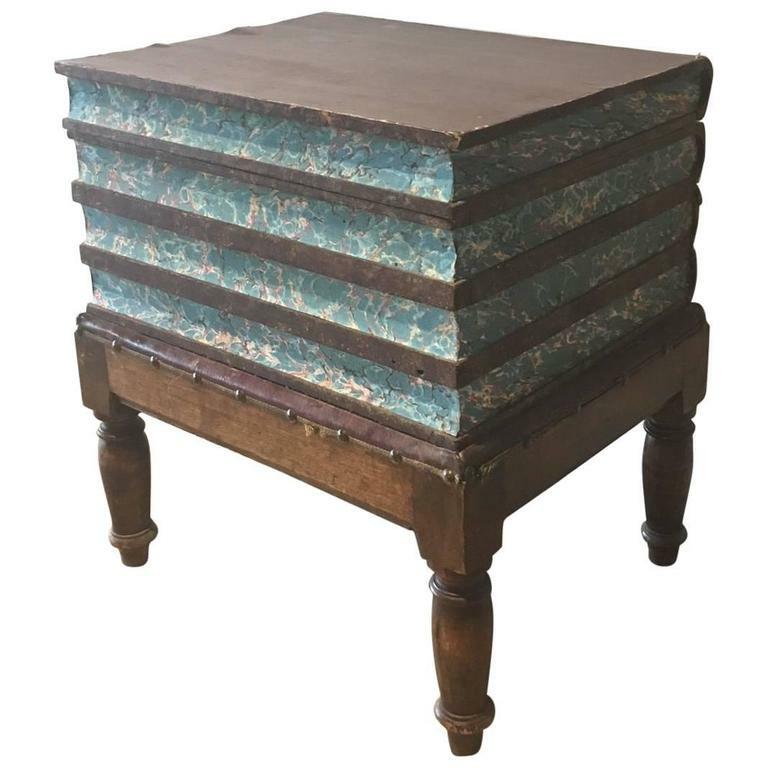 Cabriole legs and semi-circular sides on top. Painted 19th century seaman's chest resting on bun feet. 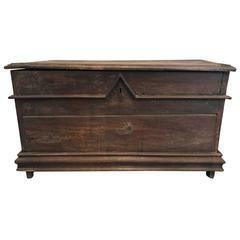 19th Century American chest or trunk with original hardware. Can be used for storage or coffee table.